Sweet potatoes are a bit of an enigma in the vegetable world. Despite their name, they don’t actually belong to the potato family. 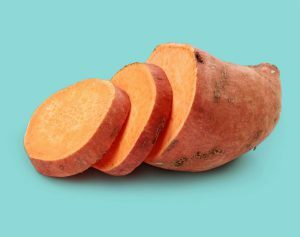 Whereas potatoes are a starchy, tuberous crop with a swollen underground stem or shoot, sweet potatoes are a sweet-tasting tuberous root vegetable. Their creamy texture, sweet-spicy flavor and all-round goodness makes them the perfect choice when it comes to supercharging your favourite meals. Whoever said there is no such thing as a typical sweet potato was right. 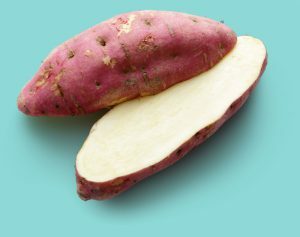 In Australia, there are four types of sweet potato varieties grown: Gold, Red, Purple and White. And yes, they all come in a variety of shapes and sizes. Over 90% of sweet potatoes grown in Australia are the Gold variety, sometimes called Beauregard. With rose/gold smooth skin, and bright orange flesh, they’re delicious roasted, mashed, steamed, barbequed, and baked. Red sweet potatoes, also called Northern Star, have a reddish / purple skin, with bright, white flesh. It’s the second most popular sweet potato in Australia with around 8% of sales. 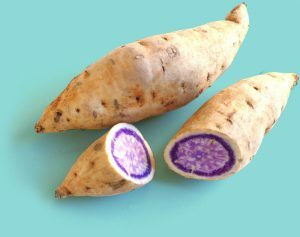 Purple sweet potatoes have a white skin with white and purple flesh. They account for around 2% of Australian sweet potato production. White sweet potatoes, or kestle, have a white skin, with cream to white flesh. 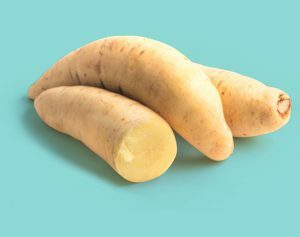 You won’t come across white sweet potatoes very often, but when you do, you’ll remember their wonderful taste forever. Right now in Australia, there are about 85 commercial sweet potato producers. Collectively, they produce around 100,000 tonnes of sweet potatoes per year with an estimated gross value of $80 million. With numbers like that, it’s fair to say, Aussies are definitely sweet on sweet potatoes. 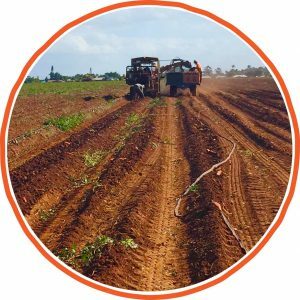 If you’re looking for Australia’s major growing areas, look no further than the Bundaberg region in Queensland which provides over 70% of Australia’s sweet potatoes. 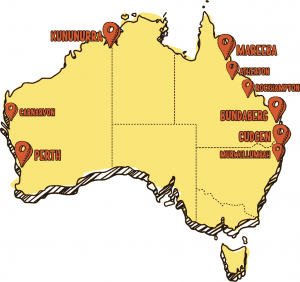 Cudgen, in northern NSW, is the second biggest producing area while other key areas include Mareeba, Atherton and Rockhampton (Qld), Murwillumbah (NSW), and Perth, Carnarvon and Kununurra (WA). The sweet potato industry is a significant regional employer providing work for between 4000 – 5000 people in a normal year. From growers to pickers to packers, we’re proud of our role in keeping regional Australia alive.